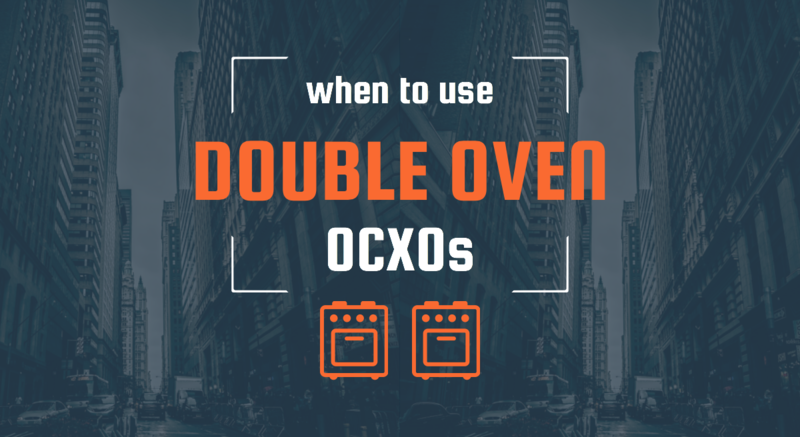 When Should You Use a Double Oven Crystal Oscillator (DOCXO)? One is definitely the loneliest number. So what's better? A single or double oven controlled crystal oscillator? Before you jump up and say, "give me the double helping! ", a double oven controlled oscillator may not be needed for your specific application. However, double OCXOs (Oven Controlled Crystal Oscillators) have recently begun to grow in demand. 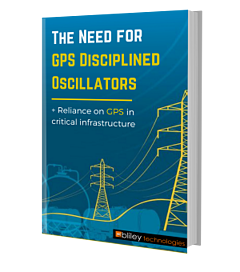 Since the demand on frequency stability will only increase in the future, the base stations and OCXOs of the 50 parts per billion class are no longer able to offer a high enough degree of precision. To achieve a stability that is less than 1 ppb, you may want to consider using a double OCXO in your design or application. In this article, you will learn why and when a double OCXO may be needed. The relationship between the fluctuations of the ambient temperature and the component temperature. Unfortunately, the thermal quality offered by a regular oven controlled crystal oscillator is not good enough to handle increasing frequency loads. This made the development of an OCXO with improved heating concepts essential. Thus, the double OCXO was born! Since its development, it has been put to a wide range of uses. This is an area of performance which demands the most accurate representation of figures for the instrument based on what the data tells the device. In order to work to its optimum quality, the use of a double oven controlled crystal oscillator has become imperative in many industries which make use of this technology. Another area of use for the double oven controlled crystal oscillator is in microwave communication, which makes use of several frequencies to get the work done. As the number of frequencies that are being put to use increases along with the number of data loads that a single device is expected to bear, switching to DOCXOs from OCXOs is a natural evolution. Another use of a DOCXO for microwaves is in the generation of source signals. The clean generation of source signals with the least amount of interference is the main reason why this sector saw the adoption of a DOCXO over the OCXO. There are various instruments from many industries, including the medical and the automotive, which make use of the double oven controlled crystal oscillator to provide the most accurate ratings and readings for all their lab test results. The telecom industry is becoming increasingly more automated and a direct result of this has been that the telecom devices have had to deal with greater workloads than ever over a wider range of frequencies. To meet this demand and maintain a stable frequency for all their calls, DOCXOs are being pressed into service by the telecom industry. Some of the types of applications that the double oven controlled crystal oscillator can be put to are still being explored and developers are researching new ways to attend to the task of providing extremely precise frequency references where the resonator operates at a constant temperature. The use of the double oven controlled crystal oscillator has yet to reach its full potential, and only the future will reveal how the scientific community puts it to additional use. Now that you got double OCXOs down, learn about OCXOs in SPACE!